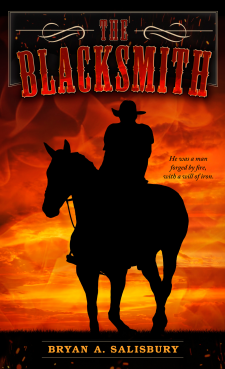 Blake Thorton was born and raised a blacksmith, a skill that had saved his life many times. In the years following the War Between the States, fate would bring him to MacIntyre, a town that would need his skills, and so much more. Tom MacIntyre, a spoiled and privileged son of a wealthy ranch owner, intimidates the townspeople and has no problem crossing onto the wrong side of the law. He’s used to getting his own way… and tests his metal against the man who shapes it for a living; a man whose intensity burns like the fires he works in.